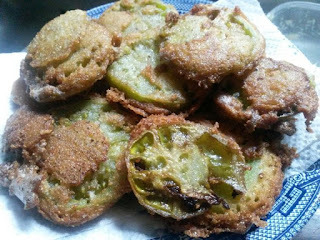 Oh wow, your fried green tomatoes. I have never ever made them, but this really is making my moth water. How do you do them please? Just remember to get the oil hot enough first, before putting the first ones in, or they get super soggy and fall apart. They all look delicious, the cabbage looks mouthwatering. Thank you! the cabbage turned out really good. I love to leave it in the skillet until it starts browning kinda crispy in parts. Um, making me want more just writing about it, lol. Hi BJ. Around here you can only really have them in summer months. Winter a few stores order green ones, but they aren't really half as good as home grown. I have seen Pinterest pins of where people were canning green tomatoes, but I'm not brave enough to try that yet, lol. I also LOVE those first three!!!! Yummy post! Thank you Marie. Oh gosh, just coming back to this post is making me hungry for them all, lol. Lots of good cooking going on at your house. Hi Amy, If you give the fried cabbage a try, be sure to brown it up good. SOmething about the added taste when it does that. You're welcome, also thanks for hosting the Five on Friday! Hi Lisa. You should give them a try at making them. 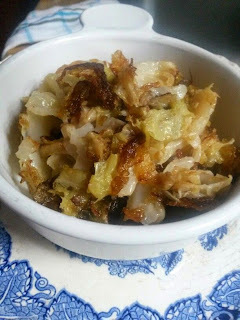 Oddly, for years when my Mom made fried cabbage, I wouldn't try the stuff. And then after I did, I never stopped loving it. lol. I'm sure there's never anything left over in your house as those dishes are all yummy! Hi Christine, rarely there is. But when that does happen I tend to snack on it until it's gone too. lol.